You know how it is when you get a song in your head and you just can’t get rid of it? For some reason, every time we visit Silvermoon Brewery, songs about moons and buffalos start running through our head, forcing us to have another beer to force it out! In any case, don’t let the music in your head scare you away, Silver Moon is the final frontier that deserves to be explored! Only recently re-opened after a five-month renovation, the new Silvermoon Brewery is even better than before! Built of stucco and stone, the outside hints at the wonders you will find inside, making you stop and take note before venturing inside. Industrial chic décor greets you, with round tables created from wood and whiskey barrels scattered throughout, polished concrete floors, and a stainless-steel bar that beckons you warmly. Don’t be shy, Silver Moon Brewing is always looking for new friends! And the beers served at Silver Moon are especially friendly! Featuring brews from a variety of different categories, Year-Round, Lunar, Alpha Project, and Specialties, their ever-changing beer menu makes us happy and will have your beer taste buds salivating in anticipation! Get Sum, from their year-round series, Cranberry Gose from their Lunar Series, and Tropic Zombie from their Alpha Project are all beers worthy of a second drink, but don’t forget their specialty group! You’ll be asking for a hippopotamus for Christmas before you finish your first pint! We can’t help it, we LOVE bar food, and the food served at Silver Moon Brewing combines wonderfully with their beer. There’s nothing fancy here—nachos, burgers, and appetizers—but who needs fancy when you can have filling and delicious? 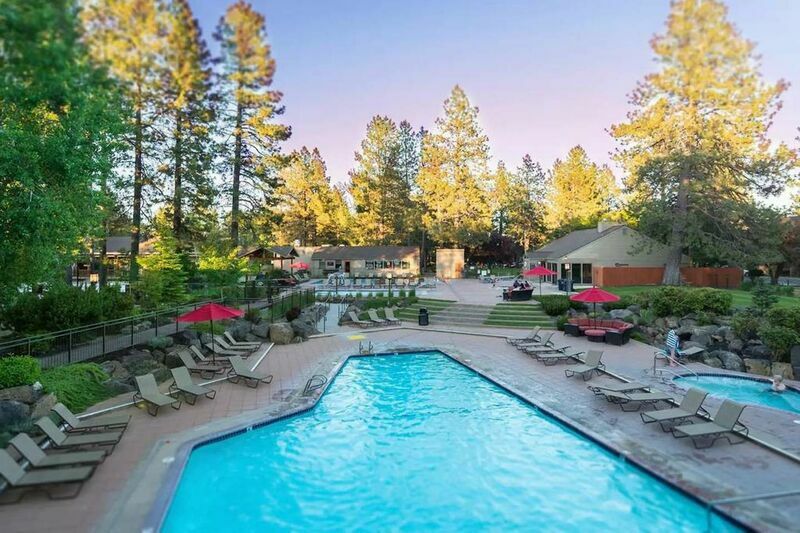 This pub is the place you go to kick back with your friends, and if you’re vacationing in Bend and don’t have any friends in the area, it won’t take long to make some during your visit! We feel, and the Silver Moon staff agrees, you can never have too many friends, so come on over, pull up a stool, and prepare to have a simply wonderful time! Your Oregon vacation is going to be one for the record books. Contact us today to reserve your Bend Vacation Rentals vacation escape and get the good times rolling!